New Haven, CT and San Francisco, CA, American Library Association's Annual Conference (ALA Conference), May 20th, 2001 -- BiblioPlan, LLC has been working hard to make your Library Space Planning and Collection Relocation easier. BiblioPlan™ Relocation Software has been developed over the last 5 years on actual Library/Archive Planning and Relocation Projects conducted by BiblioTech, Inc., a nationally recognized leader in library Support Services. BiblioPlan™ is the first unique, comprehensive software package of its type. 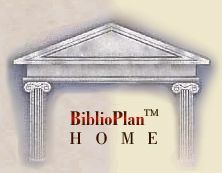 BiblioPlan™ is a computerized inventory, space planning, and relocation tool specifically designed for the particular needs of Libraries, Archives, and Record Management Organizations in transition. BiblioPlan™ will be showcased at the American Library Association's Annual Conference in San Francisco, California in June 14-20, 2001, at booth #1611 - There, you will be able to get hands-on experience and experiment with BiblioPlan™ Relocation Software and see how it will save you time, money and aggravation. Meet the authors, who can answer questions unique to your circumstances, and will describe the array of services available to meet your particular needs. BiblioPlan™ has versatile summary features, it's reports keep track of shelving, linear footages, inventory, library cart needs and more. Reports can be viewed on-screen for review or printed for convenience. It comes complete with extensive help features, telephone support and optional remote-control or on-site consultation. BiblioPlan™ was developed by Tamas Lassu and Brian MacLachlan on actual moves and it proved effective on location every time. Mr. Lassu earned a Master's Degree from the State University of Hungary, Budapest. He studied Computer Science at California State University, Northridge from 1985 to 1987. He started writing customized software for small businesses in 1989 and went on to consult businesses such as GENERAL ELECTRIC, JPL/NASA, HUGHES AIRCRAFT COMPANY and PRICE WATERHOUSE. BiblioPlan, LLC can be reached at (203) 773-1020 during regular business hours, Eastern Standard Time. We offer demonstrations at the ALA Conference if S.F., as well as a demo-disk package for evaluation.